Home » Making a Murderer: Who is Kathleen Zellner? At the end of the 10-part Netflix docu-series Making a Murderer, convicted murderer Steven Avery was penniless and fighting his legal battle on his own. After exhausting all of his assets during his initial murder trial, it seemed as though the Wisconsin man was out of options. 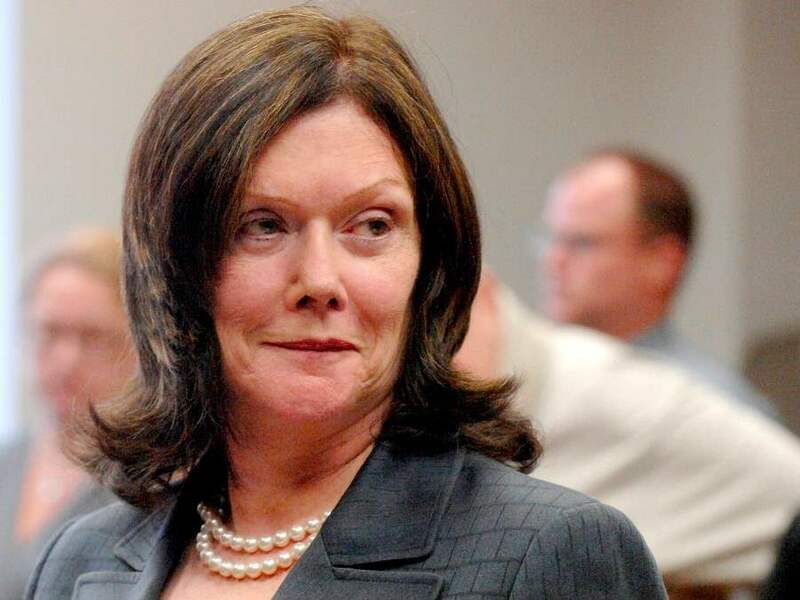 However, the buzz and support generated by the series caught the attention of defense juggernaut Kathleen Zellner—a Chicago attorney responsible for freeing 17 wrongfully convicted individuals. Zellner initially stayed mum on her involvement with the Steven Avery case, but eventually confirmed her law firm’s involvement earlier this month. Since the official announcement, Zellner has frequently posted to social media about the case and the documentary. She has fought against those involved—particularly prosecutor Ken Kratz. Just recently, Zellner posted a letter that Kratz wrote to Avery in prison urging him to allow Kratz to write a book about him. Zellner’s involvement has prompted many people to question who she is, and wonder what’s so special about her. Wicked Horror has gathered a bounty of helpful information that will explain her background and confirm that Avery is in good hands. Zellner has a track record of getting the real killer to confess to crimes. In 1994 she was defending convicted child killer Larry Eyler for a murder he claimed he didn’t commit. During the investigation, Zellner actually got her client to confess to murdering at least 21 other young men with an accomplice. In doing so, she gave closure to the families of the murdered victims. In the same year, Zellner took on the case of Joseph Burrows, a man who was wrongly convicted for murder in 1988. A witness whose testimony helped convict Burrows had recanted his testimony, claiming that the police coerced him into making a statement. At the post-conviction hearing Zellner persuaded the real killer, Gayle Porter, to confess to the murder. Prosecutors dropped all charges against Burrows and he was released from prison. Zellner has won several exoneration cases by finding new evidence. In 2004, Kevin Fox was convicted of murdering his three-year-old daughter, Riley, based solely on his videotaped confession. When Zellner took on the case she pointed out several pieces of untested evidence, including DNA. The DNA linked the real killer, Scott Eby, to the sexual assault and murder of the toddler. Fox’s confession was deemed coerced and ruled out by the court, and he was released from prison. The defense attorney has helped to exonerate over six more men based on DNA evidence. In 2013 Zellner helped to exonerate Ryan Ferguson—who had served 10 years for murder—after proving that two key witnesses for the prosecution had lied on the stand. Zellner proved that the prosecution withheld evidence from the defense team in his initial trial and got his conviction overturned. Another conviction was overturned in 2013 when Zellner proved to the court that Lathierial Boyd—who served 23 years in prison for murder—had an unfair trial. She demonstrated to the court that the prosecution withheld evidence and showed that the investigators on the case used questionable means to obtain evidence. When Zellner helps exonerate men for being wrongfully convicted, she doesn’t stop there. The Chicago-based lawyer continues to support her clients through civil suits and helps reward them with money that they deserve. She has won over $90 million in civil suits. When Zellner took on the case of convicted killer Larry Eyler she vowed never to represent a guilty man again. When the attention swarmed Steven Avery following the release of Making a Murderer, she waited until she met the convict and read through his case files before announcing she would be taking his case. Zellner would not be representing Avery if she believed he was guilty. With her track record, Steven Avery may actually stand a chance of being freed!